A place where you will experience a unique combination of the sea and the land, which will remind you of all the magic of contrasts of Montenegrin coast is surely Lepetane. Lepetane, the gateway of one of the most beautiful bays of the world, is surrounded with natural beauties and views, making it a perfect place for nature lovers. 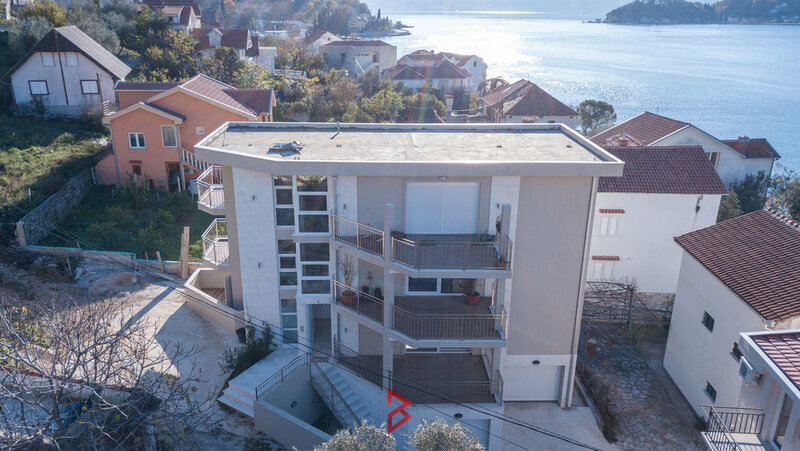 This is a place to be if you wish to enjoy the peaceful part of the Boka Bay, and use the benefits of the vicinity of other parts of our coastline, which you can reach in just few minutes - only 7 km from Tivat airport, about 4 km from Luxury marina Porto Montenegro, 12 km from Kotor and Herceg Novi and 24 km from Budva. This apartment has three bedrooms with spacious living room and big balconies with views on sea and mountains . Total area of this property is 100 m2.